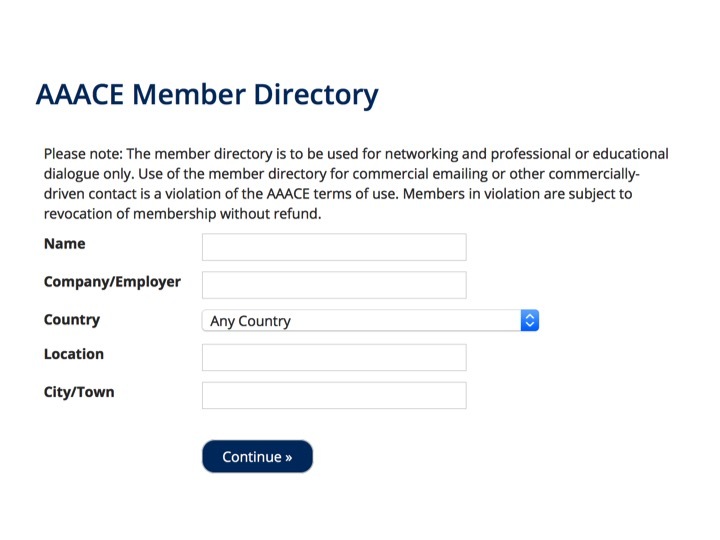 The below information is meant to give you a brief overview of the basics of how to navigate the AAACE Website and better utilize the new benefits and functions available to members. You are encouraged to go beyond the basic sections and explore the website in more detail at your own pace. 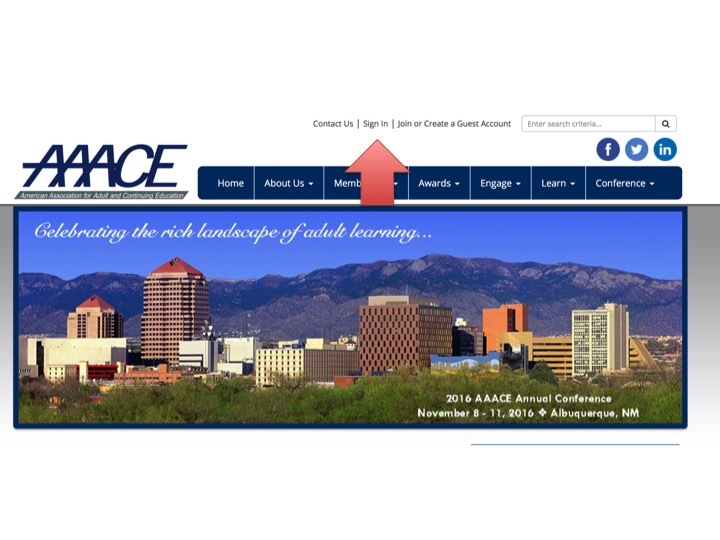 For any questions or concerns regarding the website, please contact the AAACE office. 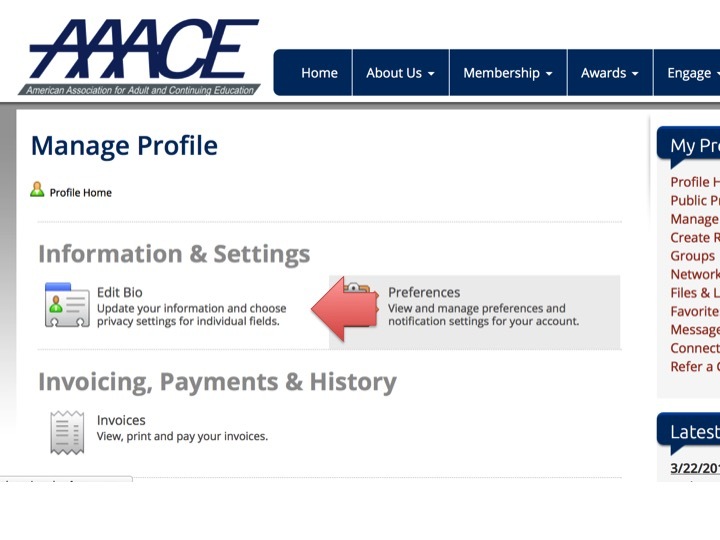 To log in to your profile, first visit www.aaace.org and select the sign-in section in the top right-hand corner of the homepage. Log in to your profile using you username and password. 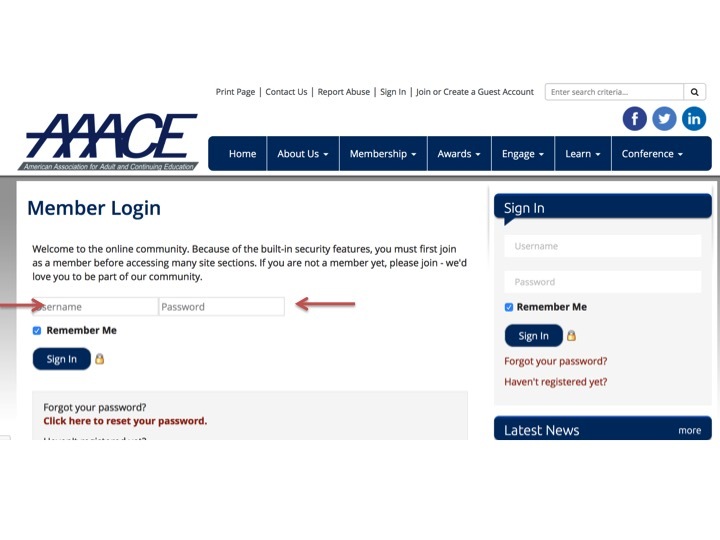 If you do not know your username and password, you can reset it by selecting Click Here to Reset Your Password or you can contact the AAACE office for assistance. YOU'VE LOGGED IN, NOW WHAT? Once you have logged in to your profile there are several areas which may be of interest to you as a member. The next section will cover a few of the critical areas for you to know. Once you have logged in to your profile, click Manage Profile in the right-hand side of the webpage. By selecting Edit Bio, you can update your username, password, email address, physical address, phone numbers, employer information and much more. 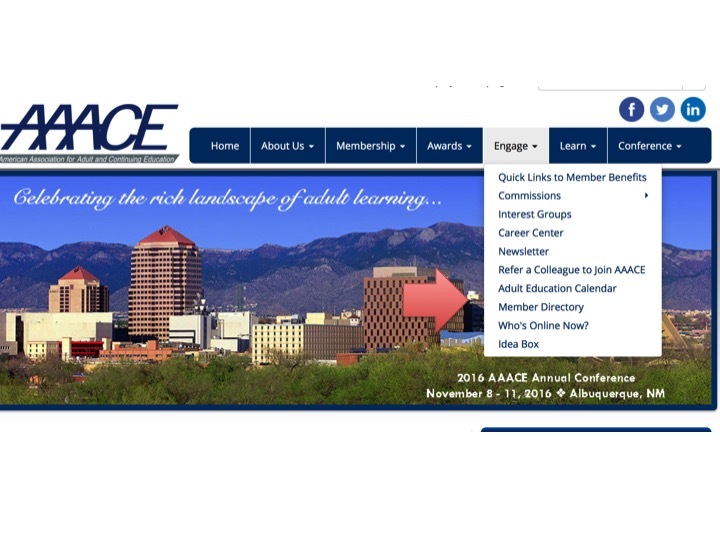 Be sure to periodically check to ensure that your information is current so that you don't miss out on the important information from AAACE! If you scroll down below the Edit Bio section, the next section you will see is the Invoicing, Payments & History section. Utilize this section to access and pay any open membership and/or event invoices. 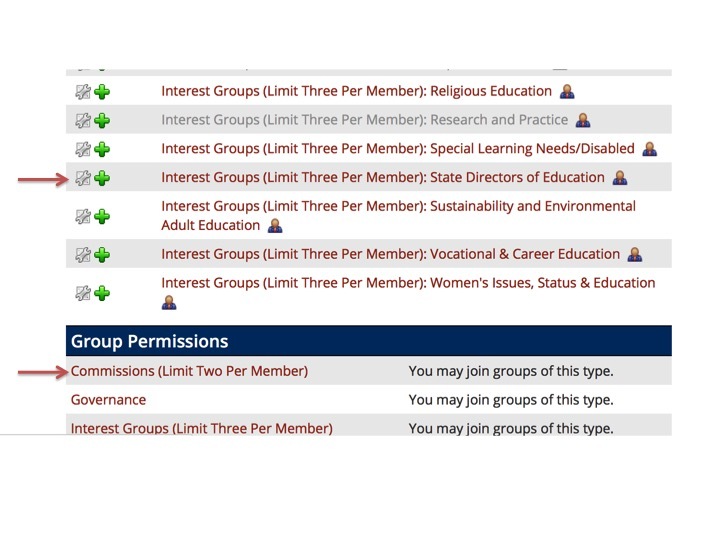 This section is also where you can find information on your membership status and expiration date. Under the Community section is where you will find information about Groups. 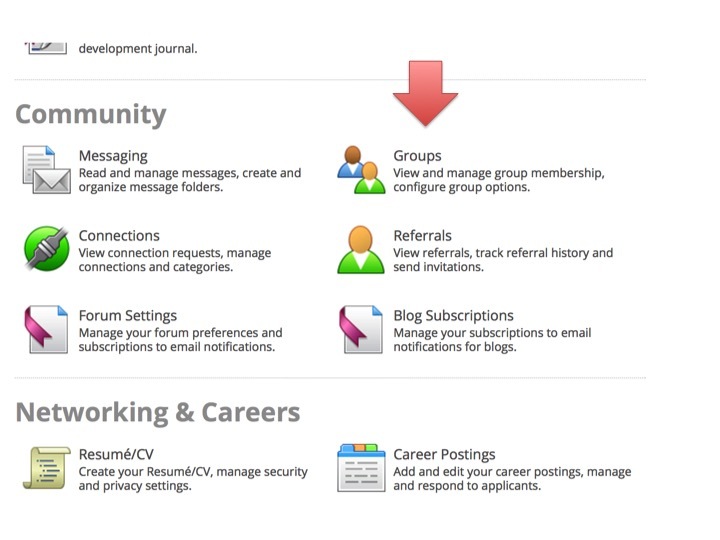 By clicking the Groups icon, you can see the groups you are a member of and join additional groups. 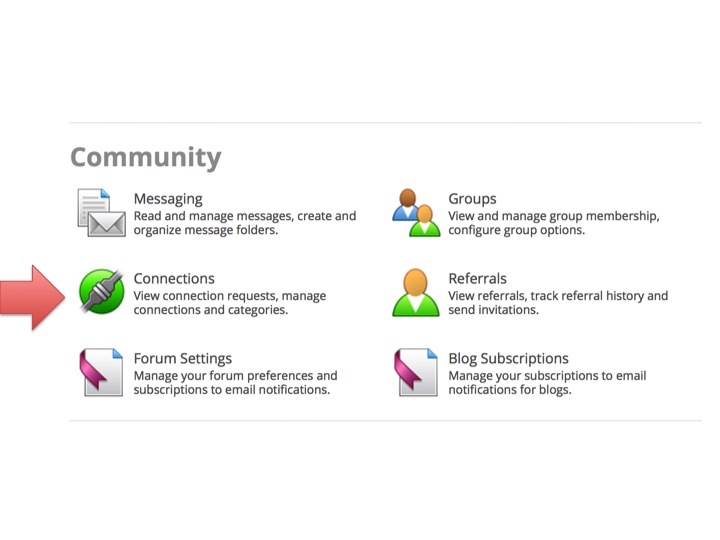 Selecting the Groups link under the Community section will take you to the My Groups page. Here you will see a list of groups your are already a member of as well as links to the other groups you are free to join. 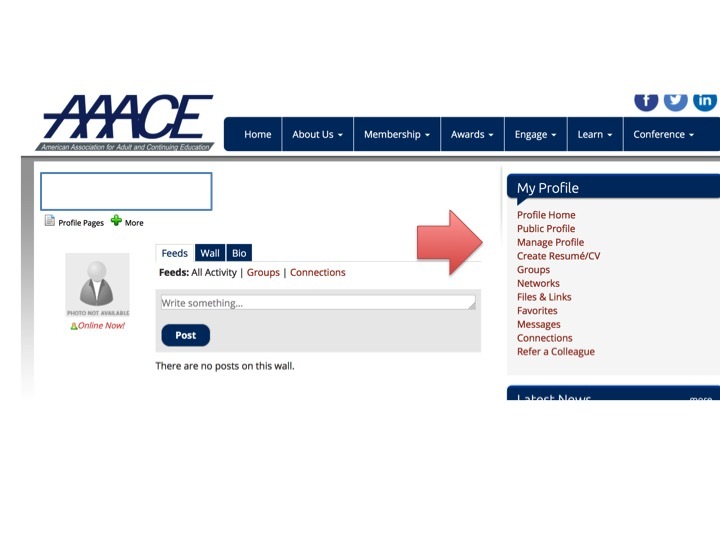 A unique function of the new AAACE website is the ability to connect with other members you may have meet at a meeting or other AAACE functions. 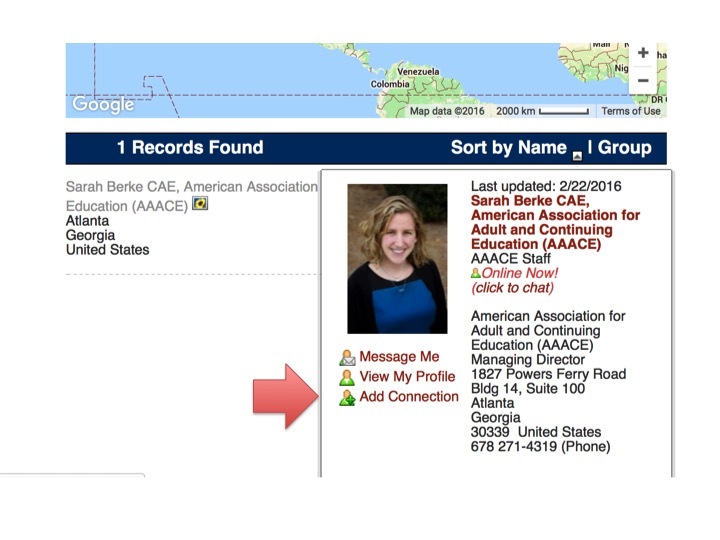 To add connections, select Member Directory from the homepage of the AAAL website. On the following directory search page, you are able to search for other members by name, organization, member type, community affiliation, and more. In the search results, clicking on the names will produce a drop-down. click the name of the member you would like to connect will and then select Add Connection when the drop-down menu appears. To see a full list of your connections, navigate back to the Manage Profile page and select Connections under the community section. Your list of connections will appear and you can send messages, view their profiles, and more from the page. Referrals can be tracked by using the online referral system. 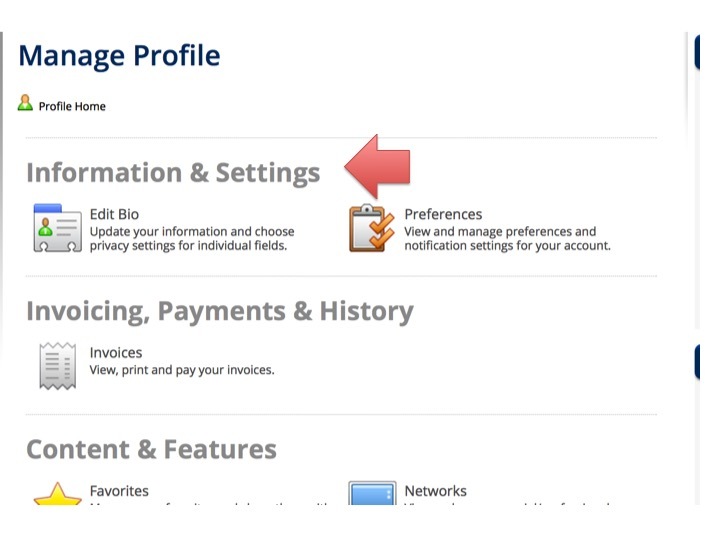 After signing in, navigate to the Manage Profile page. Within the Community section there is a "Referrals" link. From here you can see members that they have referred. You can also select the "Refer a Friend" link and enter in email addresses of friends and colleagues, along with a personal message. The system will then send an email to those contacts with a registration URL that will tie back to your account.